Surat is one of the large city around Tapi river in the Indian state of Gujrat. Surat RTO operates swiftly with the assistance of transport commissioner. It has been launched under the norms of the Motor Vehicle Act of 1988. There are a lot of activities conducted by the RTO in Surat. All the tasks are executed to ensure smooth flow of transport and traffic. One of the important function of Surat RTO is the collection of road tax for all kinds of vehicles. Criteria for the tax will vary based on the kind of vehicle. For two-wheelers, the slab will be different from four-wheelers. The funds that are allocated to Surat RTO are adequately utilized for the benefit of transport and traffic conditions. Lots of initiatives are taken to make the infrastructure better. Different kinds of test such as vehicle emission tests and other driving tests are conducted by Surat RTO. Vehicle emission tests are conducted to ensure vehicle fitness & road-worthiness. Driving tests are organized at the time of issuing the driving license. Surat RTO conducts all kinds of training required for the better conduct of traffic in the city. These training may include several sessions related to road safety awareness. Surat RTO also aims to produce more people who know how to drive. Most of the driving schools need to take permission from the RTO in Surat to operate. Surat RTO ensures to maintain the database of all the vehicles running in the city. Managing data for the vehicles helps in keeping the track of all modes of transport. RTO in Surat ensures availability of all the details online. This is done for the ease of the users. With the facility of online data, even the appointment can be booked for any services related to RTO. Anyone migrating from Surat to abroad will require a permit to drive in another country. 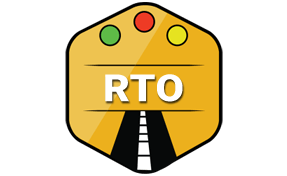 Surat RTO is authorized to grant the permission based on certain criteria. Surat RTO ensures whom so ever is driving in Surat adhere to the traffic rules. Anyone not possessing the mandatory documents is penalized. At times legal actions may be required againist the lawbreakers. In order to ensure adherence to the law regular vehicle checking is done. It becomes more common at the time of the holiday. Hazira - Adajan Road, National Highway No. 6, Surat, Gujarat.